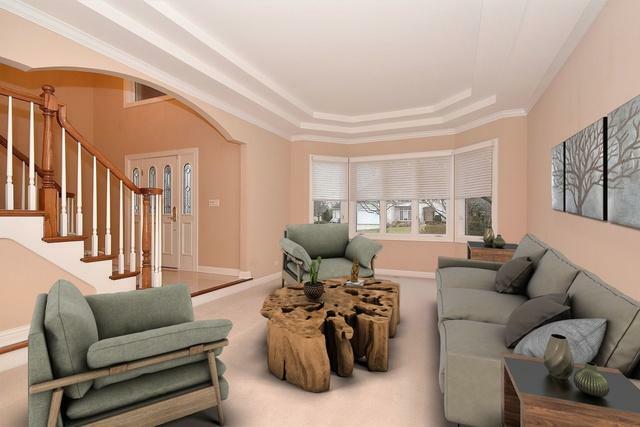 Over 4200 SF home with Exceptional Layout. Huge modern eat-in Kitchen with Island that seats four, Stainless Steel appliances and custom refrigerator, plus side serving bar. Kitchen opens to Two story Family Room with amazing views of forest behind the house. Kitchen also accesses Sunroom and Dining Room. Inside details include white trim, hardwood floors, six panel doors, split staircase, 2nd floor laundry. Four large bedrooms upstairs (insulation between bedrooms), and additional bedroom on first floor with full bath. Master Bedroom has TWO HUGE Walk in Closets, Full jetted tub and separate shower. 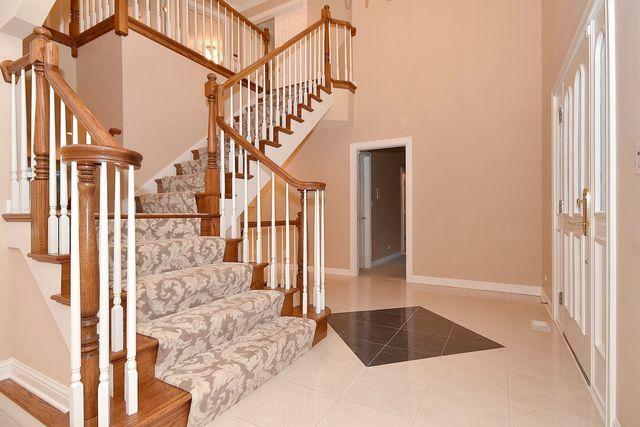 Full Finished English basement has tailored foyer with barrel ceiling french doors to office. Basement also has rec room, professional theater room, separate exercise room, full bath, and tons of storage. Three zones of HVAC. Central Vac. All brick exterior with three car-side load garage, Upper Deck with pergola, gazebo with hot tub plus lower brick paver patio.